It’s one of the best things about the summer. Villages across the UK, France, Italy, and everywhere else work out a few days in the calendar for everyone to get together for a good old knees up, some good food, and a bit of a gossip. It’s what townies like me go out their way (literally) to be a part of. And last week, at the local Leva, we had a great time. 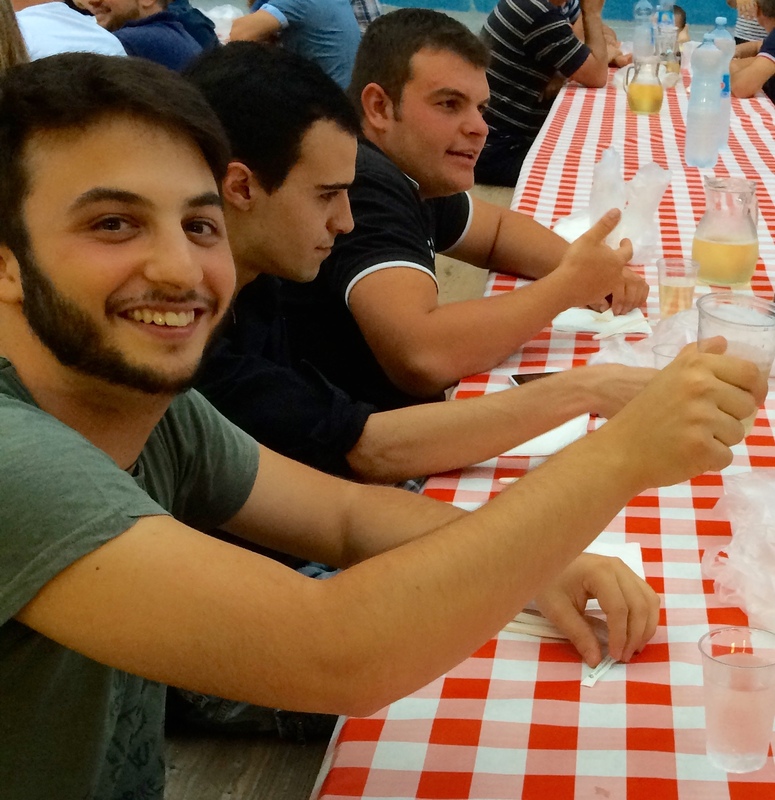 The Leva is a way, in Piemontese villages, for the 18 year olds to get together and celebrate the end of high school together. In communities that are spread out about the countryside it gives everyone a chance to raise their glasses to the kids and wish them all the best. I really like the idea, it’s almost like a right of passage for them. Or a great excuse for one of their first legal piss-ups. One of the two! 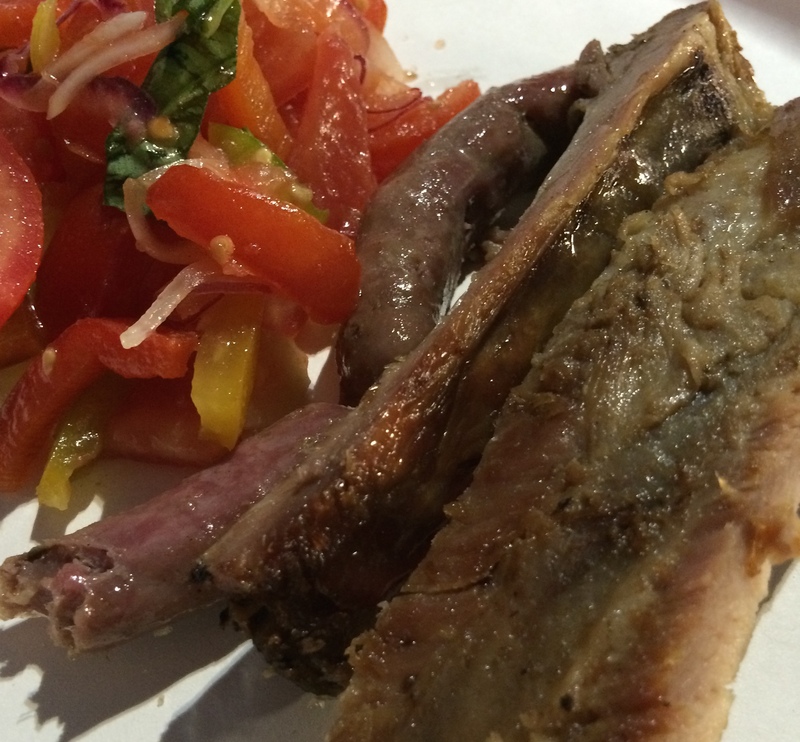 But for everyone else that turns up (the entire village) it’s a set €20 to get in, and then all-you-can-eat pork ribs, sausage, and tomato salsa. I had to take it a bit steady as I knew I was walking home about 2km up hill, but that didn’t stop me from getting the wine scooter involved as it’s all-you-can-drink too. The wine comes in jugs, with the red as Dolcetto, and the white as Favorita (a local everyday drinker round these parts). The wife and I and a friend popped down, with wine dog (who loved the attention and the salami!). We met up with a few guys that we knew and had a great time nattering away in the cooler early evening. It’s just great to see communities come together for a night like this. Eating, drinking, and chatting away. Really nice to be part of it. If you’ve got something coming up near you, then make an effort to go. It’s nearly always worth it! Yeah, I can never work out the 21 thing! ← Why Do Restaurant Wine Lists Still Take The Piss?